Serra de Tramuntana is a beautiful mountain range on Majorca, which is the biggest of the Balearic Islands. There are plenty of sun filled beaches and heritage here, and family entertainment is everywhere, with plenty of golf courses, tours, and animal parks. 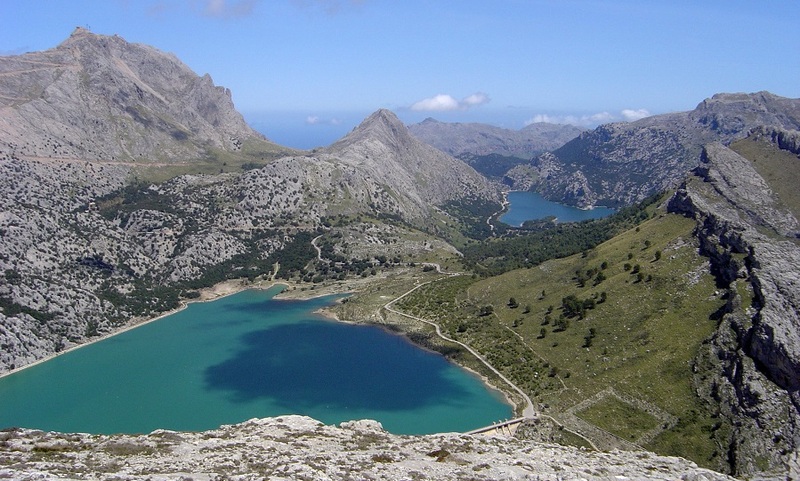 If you enjoy outdoor activities, Serra de Tramuntana is a wonderful place for a holiday. Some of the cities located nearby include Soller, Pollenca, and Calvia. Exploring the area’s heritage is a must for all those who come to visit, as there are plenty of places to see and things to do that will leave you feeling satisfied. From museums to artifacts, castles to street markets, this beautiful little section of the island will have you falling in love! Serra de Tramuntana is part of Majorca, which is the largest of the Balearic Islands, just off of Spain in the Mediterranean Sea. Serra de Tramuntana is located on the Western side of the island of Majorca. Serra de Tramuntana is a stunning mountain range with breathtaking ocean views and gorgeous landscapes that are marked by buildings that have plenty of stories and heritage behind them. In Serra de Tramuntana, you will find buildings of Roman architecture, as well as some Spanish and French style buildings, peppered in amongst more modern hotels and restaurants. Serra de Tramuntana shares the weather and climate of Majorca. The climate is Mediterreaan, and it consists of hot summers and stormy winters, which is when the majority of the rain falls here. Because of the height of Serra de Tramuntana on the island, the temperatures tend to be cooler than the rest of the island, and in the winter snow is not unheard of, and temperatures in the winter have been known to dip lower than other areas in Spain. The coldest months are January and February, with temperatures ranging from eight degrees Celsius to fifteen degrees Celsius (about forty-six degrees Fahrenheit to fifty-nine degrees Fahrenheit). In the summer months, July and August tend to be the hottest, with temperatures ranging from nineteen degrees Celsius to thirty degrees Celsius (about sixty-six degrees Fahrenheit to eighty-six degrees Fahrenheit). Serra de Tramuntana is served by the Palma Mallorca Airport, so if you are choosing to fly into the area, this would be the best airport to get to Serra de Tramuntana. From there, you can take a bus, taxi, or metro into the city. If you prefer to be in charge of your transportation throughout your trip, you might choose a car hire. Since Serra de Tramuntana is such a beautiful tourist location, there are plenty of accommodations nearby to suit the needs of everyone in your traveling party. The surrounding cities have plenty of places to stay for your holiday. The area has several bed and breakfast type inns, many vacation rentals in the area, and of course, your standard hotels. Hotels vary in price and amenities, and include popular ones such as Castell Son Claret, Grand Hotel Son Net, Hesperia Villamil, Hotel Roc Oberoy, and Sunna Park. Serra de Tramuntana offers many things to do for tourists looking for a fun filled holiday, including golfing at Golf Fantasia, several beaches (some more secluded than others, to suit your moods), diving tours, such as those offered at Big Blue Diving, and an extensive nightlife with plenty of restaurants, tapas bars, and pubs. Dancing, festivals, and street markets are held on a regular basis in Serra de Tramuntana, and there are plenty of sights to see in the area. Nature hikes, walking tours, and parks are plentiful in the area.